Points for how many times you can guess I say the word cocktail in this post. So, in terms of all the information you need, I’m going to give you it. Right now. Cocktails in the City is an organisation who’s whole purpose is to celebrate the cocktail culture here in the UK. It goes all around the country to find the best bars and the best cocktails and showcase them to the public. Because who doesn’t love a good cocktail? For its 5 year anniversary, Cocktails in the City have decided to come to my beautiful Liverpool on Friday 30th June and host this cocktail extravaganza in the Baltic Warehouse. (Major brownie points for the location) How exciting? It’s going to involve some of Liverpool’s most loved, treasured and iconic bars who have created some amazing cocktails just for the event! The preview event took place at Furnivals Well in Campbells Square (originally The Bridewell Prison) which was just the perfect location filled with character and ambiance for an event like this. Each cell of the renovated prison played home to a collection of the finest mixologists this city has to offer – all offering something a little unqiue, a little fresh and a little exciting. The idea was simple. 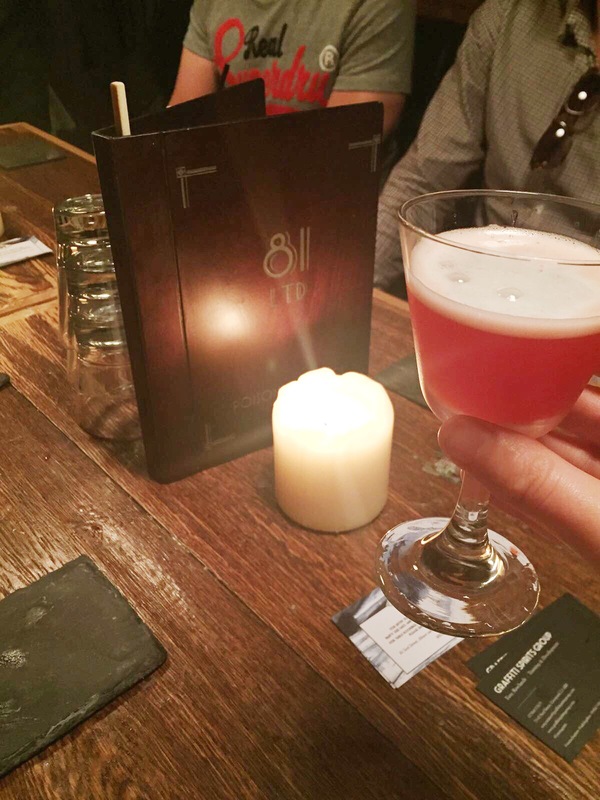 Cocktail speed dating – just with a lot more rum and a lot less awkward silences. As music played, we could drift from cell to cell and explore what everyone had to offer. When you’d picked your cell, the music stopped and it was time for the bars and their staff to shine. In-depth knowledge of spirits and mixing with a few history lessons alongside some viewer participation in the actual cocktail making. First up for me and my cocktail drinking sidekick, were Red Door, offering all the summer vibes with their modern shakeup of the somewhat dated spirit of Cointreau. Dated, for me, in the sense that I see my mum drinking it on her holiday in Yugoslavia back in the 80’s. NONE OF THAT ANYMORE. It’s been rejigged. In a BIG way, and I can proudly claim it was one of my favourite cocktails of the night. Boasting some rather fruity flavours of passionfruit, raspberry and lime, mixed with Cointreau and topped with soda, it went down an absolute treat. 10/10 for aesthetics too. Next up 81LTD. A brief history into the residence of 81LTD and how their drink linked in with the trading of Liverpool, we were poured a rather dangerous looking cocktail. Short, but packed a bloody punch. Named Trading Dock Gin & Tonic, using Plymouth Gin (to tie in with the trading), the G&T has never been more nontraditional. Gin, fresh lime and grapefruit (for the zzinggg), topped with the most alluring pink pepper & tonic foam. It was an absolute menace on the senses. The smell of pepper as you took your sip which melted into the tartness of the lime and grapefruit – 81LTD, you thought outside the box and I would happily sit at your bar and sip them all night long. A quick trip upstairs saw us at The Alchemist masterclass who’s menu boasts concoctions of the science kind. If you’ve never been to the Alchemist, think Pornstar Martini’s mixed with your GCSE science lesson. Got it? The cocktail of choice was named Ce Monde filled with the best elderflower liqueur, white vermouth, prosecco, elderflower foam and a dusting of raspberry and I was the eager volunteer putting my cocktail skills to the test. It was fruity and bubbly – a great combination. 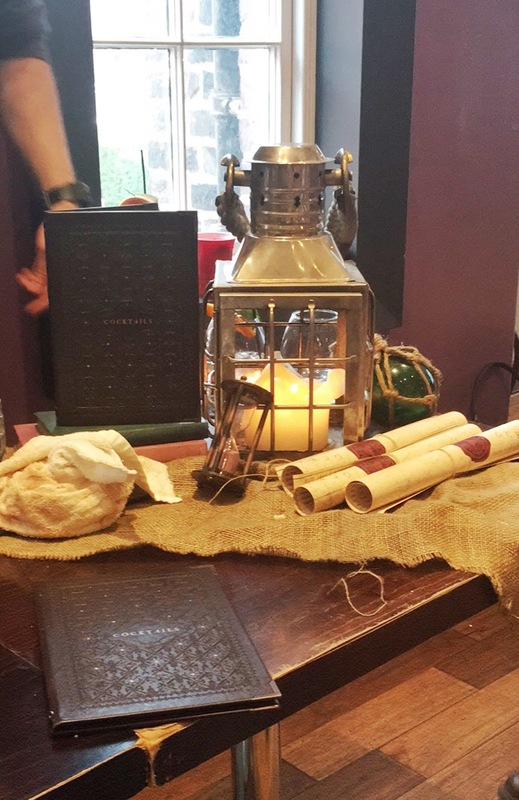 The Smugglers Cove was our next destination – situated in the Albert Dock, they were giving us all the rum and pirate vibes. We sat down to an interactive masterclass – the cocktail, named Wombie Amaro, was being made right in front of us as well as on an Ipad where we were able to see the creation through the eyes of the bartender. A harmonious binding of rum and aperol with passionfruit watermelon, lime and pineapple juice, it truly was a great drink for those who enjoy the heartiness of rum but also those who enjoy a good fruity cocktail. Back down the stairs into the main bar area, it was Furnival Well’s ‘Cocktail Kate’s’ time to shine. And she did. Along with some amazing enthusiasm, we were taken on a Victorian literary journey with her Señor Middlewood. With sherry being the new gin of 2018, (get on it), I had my first try of it in this zesty cocktail and I was pleasantly surprised. Unfortunately, time was of the essence and we were unable to visit every bar but I’m excited to see what Some Place, Ghetto Golf, El Bandito and Roxy Ball Room plus more are going to offer. The thing that I loved most about this event is the absolute creative freedom each bar had/has when mixing new drinks. The enthusiasm and buzz that wrapped around each cell was amazing. Everyone was proud of the cocktail they had curated and rightly so. Each bar offered something new and different but what’s more, they were offering spirits that are perhaps classed as more ‘old fashioned’ and ‘traditional’ but using them in such a modern and innovative way. Who would’ve thought sherry and grapefruit juice went together? I felt as though they were trying to help us create new stereotype for spirits that perhaps get tossed to the back of the cupboard. They’ve definitely inspired me to be a lot more adventurous when it comes to picking a cocktail off the menu. Rum? Come at me. Guys, it’s an event not to be missed! Grab your tickets here. See you at the bar. Absolutely loved reading this. Now, someone hand me a drink!